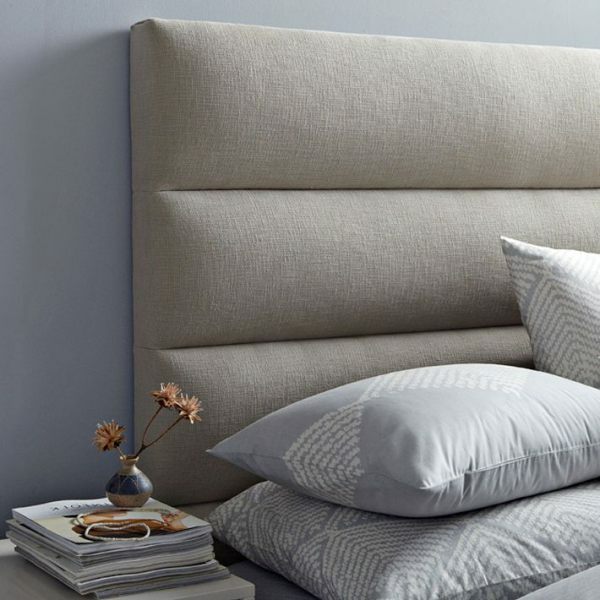 Tufted, slipcovered, sanded and trimmed… Today’s featured headboards are anything but ordinary! 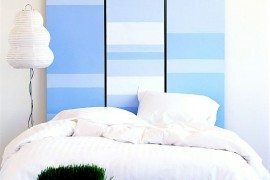 Whether you’re looking to purchase a brand new piece for the bedroom or you need a little inspiration for a DIY headboard project, the selections below are a great place to start. We’ve rounded up a slew of offerings with contemporary flair. 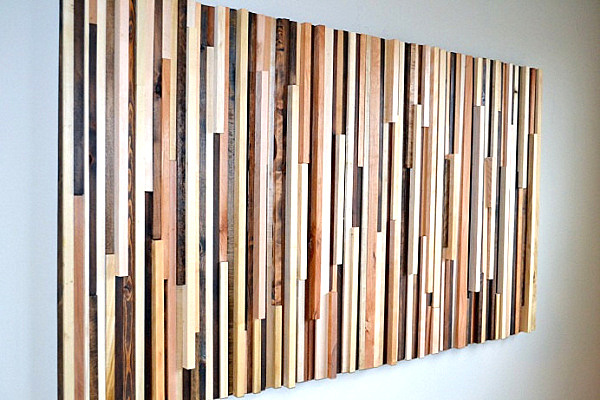 Wooden headboards have never gone out of style, but today’s offerings incorporate an element of surprise. 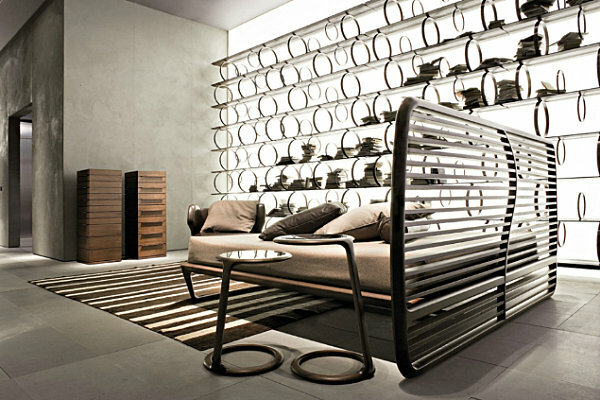 Take our first featured piece, a modern bed with a slatted headboard from Ceccotti Collezioni. A mini-blind effect is created by this intricate furnishing, which brings an element of high design to the bedroom. 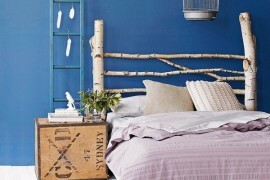 For a basic wooden headboard with a twist, check out the from West Elm. 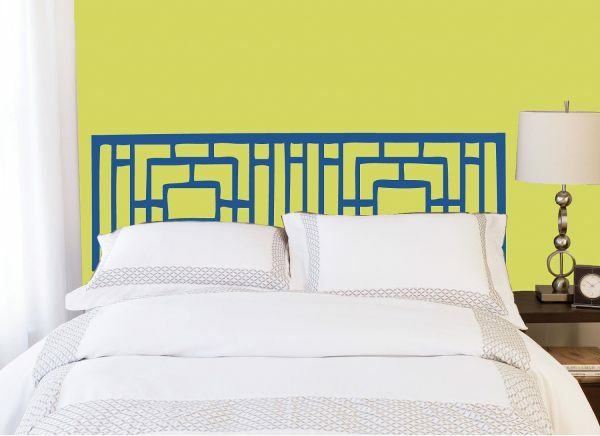 A rectangular “hole” lets the the wall color behind the bed show through. 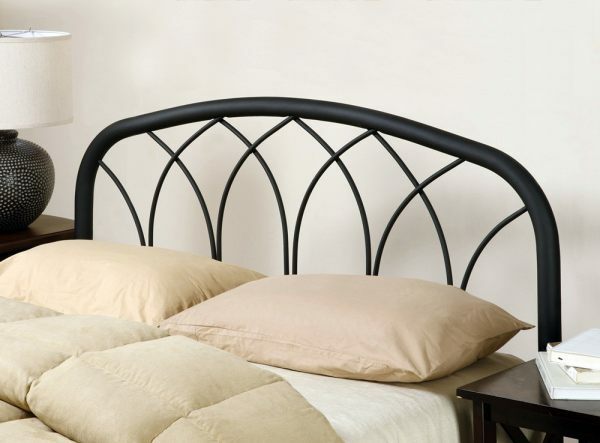 Not to mention, the height of this headboard is adjustable for your convenience. Bring on the plywood! The Long Sea Headboard/Bedhead from Etsy shop By Anonymous is super easy assemble. 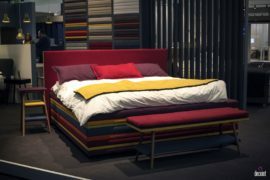 Its self-supporting structure is held in place by the bed when pushed against the wall. Horizontal planks and contemporary flair make this piece a modern delight. Another fabulous Etsy find is the from . Pieces of maple, alder, cedar and poplar wood combine to create a finished product that offers a range of tones and depths. Bonus: this item can also be used as wall art! 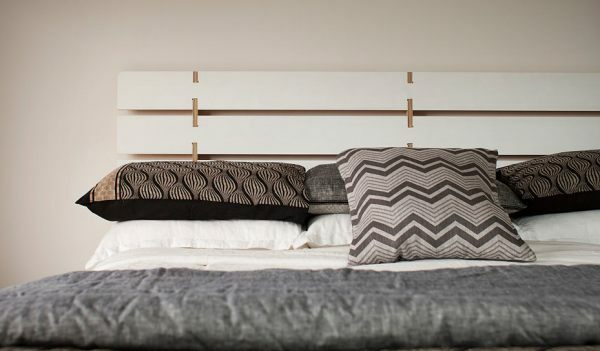 To say that upholstered headboards are growing in popularity is an understatement. They are absolutely everywhere, and why shouldn’t they be? They add elegance to the bedroom, and their plush construction can’t help but evoke a luxurious vibe. 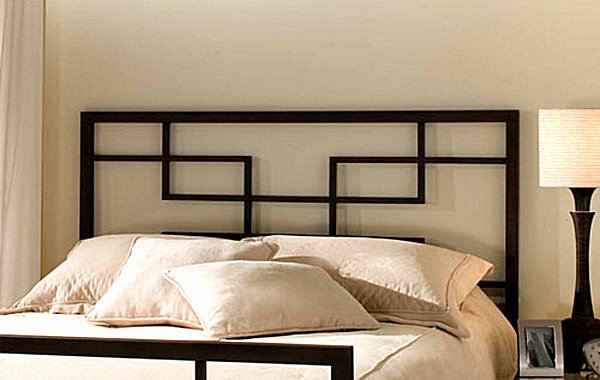 Nevertheless, some upholstered headboards manage to be clean-lined and undeniably modern. Like the from West Elm, which is upholstered from the top to the floor. Simple and chic, don’t you think? 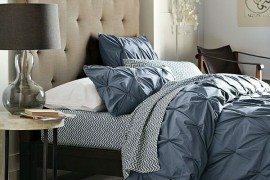 Billed as a “diamond in the tuft” on the West Elm site, the certainly makes a glamorous statement! As you can see in the image below, the piece is nicely complemented by ample bedding that is both comfy and glamorous. The from Restoration Hardware is cozy without being confining. 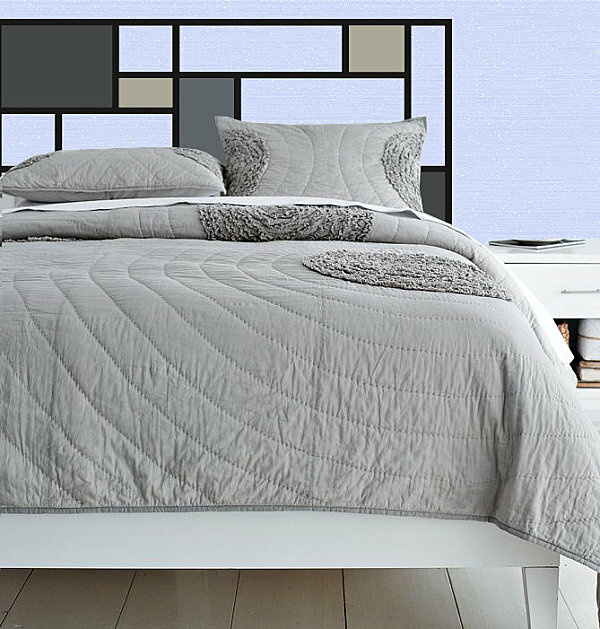 Perfect for beds that display many pillows, this piece is available in additional colors if beige is not your ideal shade. 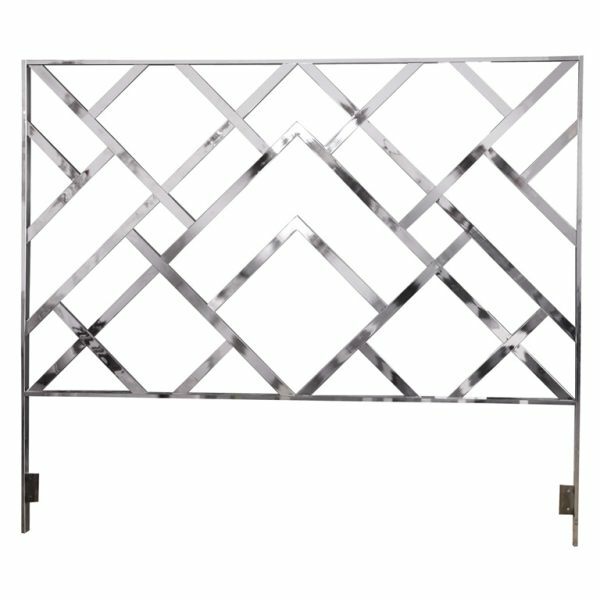 Many of today’s most popular metal headboards are geometric in nature, using slim lines to create patterns that can achieve both vintage and contemporary looks. Take the clean-lined , available through . 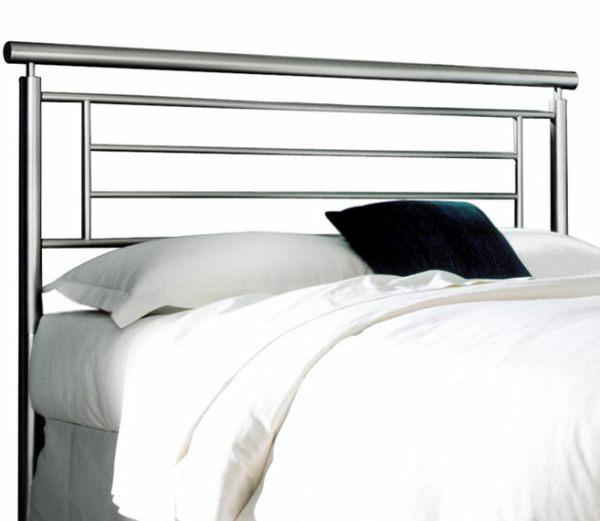 An assortment of horizontal bars in brushed satin give this piece its punch. Remember the charm of childhood? So does the from monsterbeds.co.uk. 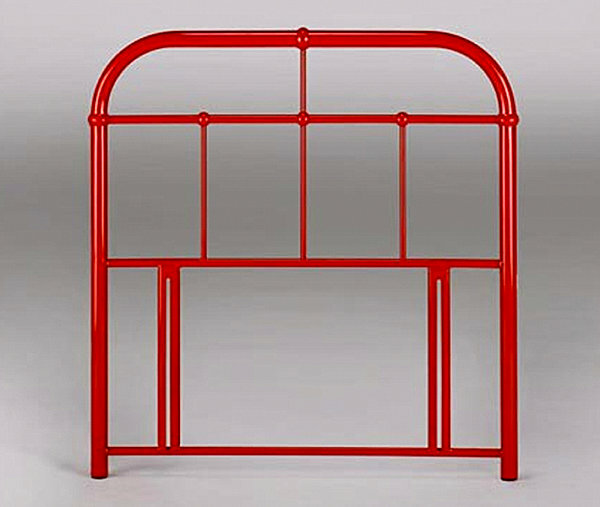 A classic design in glossy red, this piece also happens to be a bargain. Note the way its form and finish can go vintage or industrial, depending on the look of your space! And speaking of vintage, our next featured headboard is a great reminder that many unforgettable metal finds come from the past. The from is available through 1st Dibbs. Powerful and shiny, its lattice pattern is perfectly in style! Are you short on space? No worries! 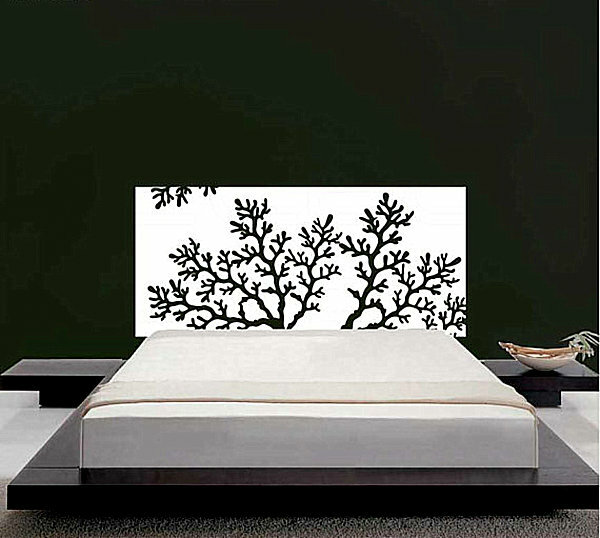 Keep that bed flat against the wall by choosing a vinyl decal headboard. Increasingly popular, these wonders in graphic design bring your favorite motifs to the realm of stickers. The best part: they often come in a range of colors so you get a hue that blends perfectly with your space. 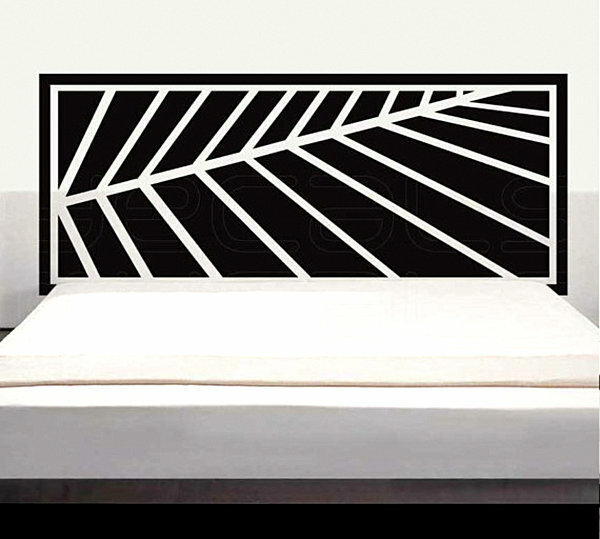 The vinyl decal from Etsy shop brings an organic element to the bedroom. Also from , the (shown below) is wonderfully geometric, evoking both nature and modern design at the same time! For a touch of Hollywood Regency influence, check out the from Etsy shop , Shown here as a full/double, the piece is available in a variety of other sizes to accommodate the needs of your space. We end with the artistic , also from . As with all of the decals in today’s post, this item is available in a range of colors. 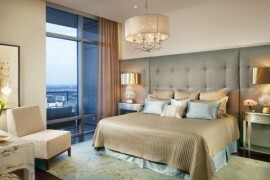 Go with a neutral palette, as shown below, or pick a standout shade that pops against the paint color of your bedroom. 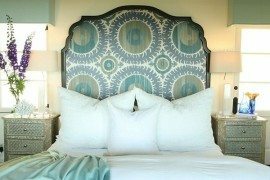 Many people forgo a headboard for budgetary reasons, but don’t let your pocketbook stand in the way of good design. If a designer find is out of the question, go with a money-saving option such as the decals highlighted above. Not to mention, many art pieces can double as headboards, and is full of them! Don’t forget that a range of DIY options can meet your design needs and inspire a little creativity as well. Sweet dreams!